One of the most innovative organizations on the planet is not a private enterprise, but a government agency. Surprised? Well, that’s exactly their mission: creating and preventing strategic surprise. Founded in 1958 at the height of the Cold War, the Defense Advance Research Projects Agency (DARPA) works to enhance U.S. technological capabilities. With a relatively small staff and budget considering its mission, DARPA has produced world-changing innovations over the years. They include the Internet, integrated circuit design, artificial intelligence, GPS, aircraft stealth technology, and the field of materials science. As DARPA somewhat mutedly puts it “our impact has been outsized over many decades.” (See DARPA’s April 2013 Framework, Driving Technological Surprise: DARPA’s Mission in a Changing World). How has DARPA racked up such outsize success for more than 50 years? And is their approach transferrable? Explaining the nature of its work, DARPA says it “relies on diverse performers to apply multi-disciplinary approaches to both advance knowledge through basic research and create innovative technologies that address current practical problems through applied research…. 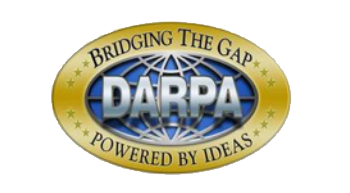 As the DoD’s primary innovation engine, DARPA undertakes projects that are finite in duration but that create lasting revolutionary change.” That takes a few minutes to digest, but a few keywords form the basis of their model: diverse performers, multidisciplinary approaches, basic and applied research, finite projects, and revolutionary change. They say DARPA’s model can work elsewhere, but most organizations that have tried have neglected to view its elements as an interdependent system. Let’s take a look at what how these three elements interrelate. According to Dugan and Gabriel, “Most corporate research budgets are devoted to innovations critical to maintaining companies’ competitiveness in their existing industries.” Disruptive innovations can threaten those organizations. So, when corporations relegate to business units the definition and funding of “blue sky” research initiatives, business unit leaders almost always try to mitigate potential threats to existing products and services. The resulting compromises squash any truly radical new ideas. Big leaps in products, services, and processes require what we call “bold goals.” DARPA focuses on an area known as “Pasteur’s Quadrant,” where groundbreaking basic research meets urgent societal needs. A healthy portfolio contains a mix of projects identified from both vantage points: some are based on opportunities presented by emerging technologies, some driven by unsolved user needs that require quantum leaps. DARPA pulls together the best and brightest from diverse backgrounds to work on challenging projects. They deliberately limit tenures as a way to attract top performers. As we know from innovation and 3P interventions in which we’ve been involved, time limits are your friends. They create excitement, unleash creativity, and generate a sense of urgency that Dugan and Gabriel say forces the team to act as a whole and to continually challenge the status quo. Moreover, innovation doesn’t happen in a static environment; rather “the problems and the novelty of the scientific advances needed to solve them are perishable. If the desired capability cannot be created within a fixed time frame, it is likely that someone else will create it or come up with another solution.” Project leaders are given free reign to be impatient. They need obstacles cleared immediately because of the short time frames. When establishing goals and monitoring progress, DARPA uses quantitative metrics, but avoids traditional product development planning and tracking methods. Breakthrough innovations don’t run according to traditional R&D roadmaps; they get worked out in uncharted territory, by definition. Keeping teams tied to hitting a set of milestones can be counterproductive. Instead, teams focus on fast iterations with checks to see if goals are being approached, and change direction quickly as results emerge and knowledge advances. When executing its model, DARPA has used a set of questions that provide high-level guidance on project selection. Created by George Heilmeier, the director of DARPA’s predecessor organization (ARPA), these guiding questions have become legendary in technological circles as the “Heilmeier catechism.” They’re deceptively simple, but incredibly effective when applied rigorously. Innovation takes a system that involves ambitious but focused goals, the right people, and governance policies working in tandem. That may mean challenging normal organizational policies and procedures. The DARPA model provides some interesting insights in how they’ve designed a system that works for their particular mission. We encourage you to read the entire HBR article and let us know what you think. Forbes has recently released its 2013 list of the 100 most innovative companies, and for the third year in a row the business at the top of the list is one that provides an online service - Salesforce.com. Founded as a small startup in 1999, the company's core innovation was to sell enterprise software from a cloud-based platform. “Innovation.” What exactly does it mean to you – new products, invented technologies, revolutionary processes, new business models, unique ways of thinking? All of the above? Its dimensions can be fuzzy and subjective, so does a precise understanding even matter?